Prestation payante et ce n'est pas un prix d'ami : 50 millions $ le siège qui pourrait passer à 100 millions ai je cru lire. Pourrais-tu donner le lien vers ta source stp ? Il y a une petite erreur : Soyouz TMA-06M ne sera pas utilisé pour l'ISS, mais pour un vol indépendant (soit pour les touristes, soit pour l'Europe et le Canada, ce n'est pas encore très clair). WASHINGTON -- NASA and its international partners, the Russia Federal Space Agency and the Japan Aerospace Exploration Agency (JAXA), have assigned four new International Space Station crews. 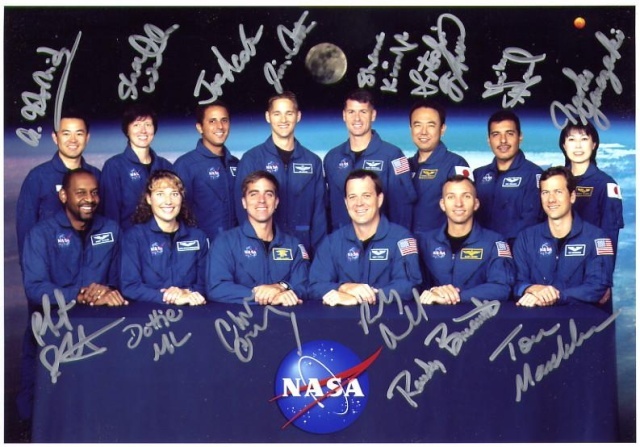 The crews include NASA astronauts Joe Acaba, Sunita Williams and Kevin Ford. Acaba was born in Inglewood, Calif., and raised in Anaheim, Calif. Williams was born in Euclid, Ohio, but considers Needham, Mass., her hometown. Ford was born in Portland, Ind., and considers Montpelier, Ind., his hometown. Russian cosmonaut Oleg Konenenko, European Space Agency astronaut Andre Kuipers and NASA astronaut Don Pettit were previously announced as Expedition 31 crew members. Expedition 31 begins when Soyuz 28 undocks from the station in March 2012. Expedition 32 will begin with the undocking of Soyuz 29 in May 2012. Soyuz 31 is set to launch in June 2012 with the crew members listed below who will join the three station residents already aboard. Expedition 33 will begin with the undocking of Soyuz 30 in September 2012. 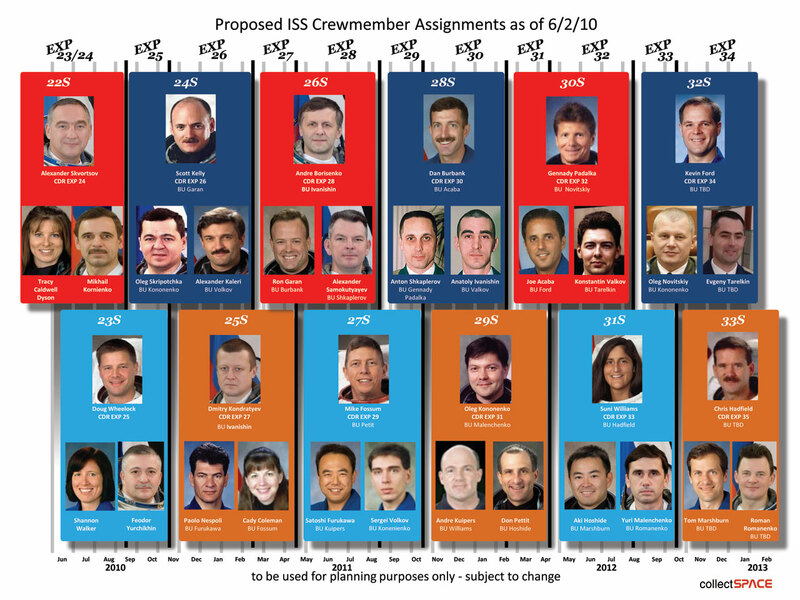 Soyuz 32 is set to launch in October 2012 with the crew members listed below who will join the three station residents already aboard. Expedition 34 will begin with the undocking of Soyuz 31 in November 2012. Three additional crew members for Expedition 34 have yet to be assigned. They will travel to and from the station aboard Soyuz 33.